We provide complete electrical and mechanical solutions covering every step of the process including design, management, installation, commissioning through to maintenance or portions of the process as required. 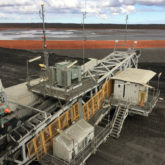 We have a reputation for excellent workmanship and have been entrusted with long term maintenance contracts for Locomotive and Heavy Mobile mining equipment. ICM Group services all makes and models, and in several cases, services equipment where spare parts are no longer readily available by retrofitting or custom manufacture. 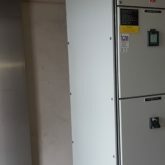 ICM Group has been servicing and repairing HV and LV switchgear for our clients for over 20 years. We have a reputation for excellent workmanship and have been entrusted with long term maintenance contracts for Locomotive and Heavy Mobile mining equipment. ICM Group has the expertise, equipment and commitment to get your materials handling equipment back online safely and quickly. Our specialised services can minimise shutdown time for trailing cable replacement. ICM Group consist of: Electricians, HV Cable jointers and licensed Communications Technicians. ICM Group's project management procedures provide for an accurate and complete solution. Our dedicated Project Managers and schedules are fully conversant with cost control and this is at the forefront of all our planning. Since 1993 ICM Group has grown as an electrical service and engineering solutions provider for industrial, commercial and mining clients. 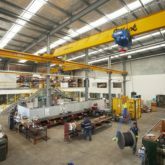 Based in Canning Vale, Perth, Western Australia, ICM Group is a vertically integrated engineering company. We deliver solutions in upgrades, breakdowns, project management, turnkey solutions and labour hire, with key specialities in areas considered as “too hard” for other electrical service providers. Our clients value our commitment to optimising productivity in materials handling. ICM has a dedicated team of experienced engineers, technicians and tradespeople contributing to projects or responding to the 24/7 demands for service that clients require. Patented inventions include the REMSAFE suite of configurable, remotely operated, process isolation products that can reduce isolation times by 95% – increasing throughput and therefore revenue, and the unique VSD controlled cable reeler that delivers a 70% time saving for trailing cable replacement. ICM Group has embraced the management systems required to earn and maintain certification by Det Norske Veritas (DNV) in Quality Management ISO9001:2008, Environmental Management ISO14001:2004 and Safety Management systems AS/NZS4801. We are focused on assisting our clients achieving their targets by safely and efficiently providing high quality engineering, products and services. ICM pride ourselves on delivering within budget and on time with attention to the little details required to close out a project successfully. Enter your details below, and we will be in touch with you as soon as we can.